We are almost getting to the point of being spoiled for choices when it comes to having Apple CarPlay and/or Google Android Auto in the aftermarket. 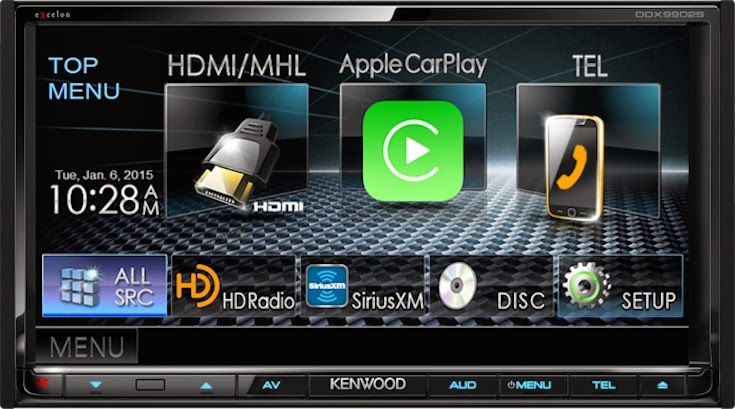 After Pioneer Electronics, Kenwood has become the latest aftermarket manufacturer to offer both the latest technologies. The aftermarket option gives users a much affordable choice than having to buy a brand new car. Pioneer offers three options if you need both, Apple CarPlay and Android Auto: AVIC-8100NEX, AVIC-7100NEX and AVH-4100NEX (Read our full review). And now Kenwood offers two options: DDX9902S and DDX9702S. Find full specifications and features of the Kenwood DDX9902S and DDX9702S by clicking the links. Just wish the KENWOOD OS interface didn't look like a ugly straight out of the 80s design. It's hideous font and menu interface is archaic looking. Given, most of the time you'll have Apple's clean carplay interface.. but why make the start up interface so hideous? The aftermarket option gives users a much affordable choice than having to buy a brand new car.It's maybe help me buy the car.